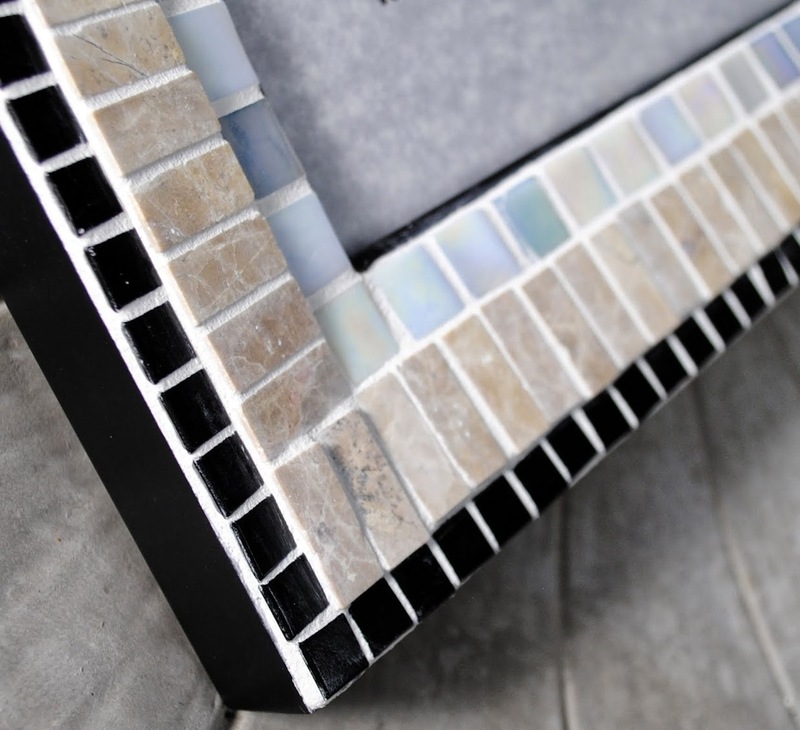 This striking handmade mosaic frame in gorgeous white iridescent Italian glass mosaic tiles, rich sandstone tiles and tiny black glass tiles will add a distinguished look to any portrait, family photo, or even a diploma! Simple black wood 8 x 10 mosaic wall frame. Clear glass. Built in hangers and easel back for horizontal or vertical display. This could also be displayed tabletop on a plate stand or small easel. Overall dimensions approximately 13" x 15". Mosaic by Brenda Pokorny.